It is perfectly normal for people to shed 50 to 100 hairs per day. It is part of our body’s natural processes and the hair loss will be barely noticeable. However, when we shed significantly more than 100 hairs a day, the excessive hair loss will appear as bald spots, thinning hair and receding hairlines. Large clumps of hair may even fall out during washing or combing if the hair has been significantly weakened. What is Follicular Unit Extraction (FUE) Hair Transplant? FUE is a revolutionary treatment for hair loss. Although it is a fairly recent hair loss treatment method which requires minor surgery, it is still considered to be minimally invasive. A special tool is used in the procedure, which does not cause any linear scarring. This hair loss treatment is suitable for both men and women. 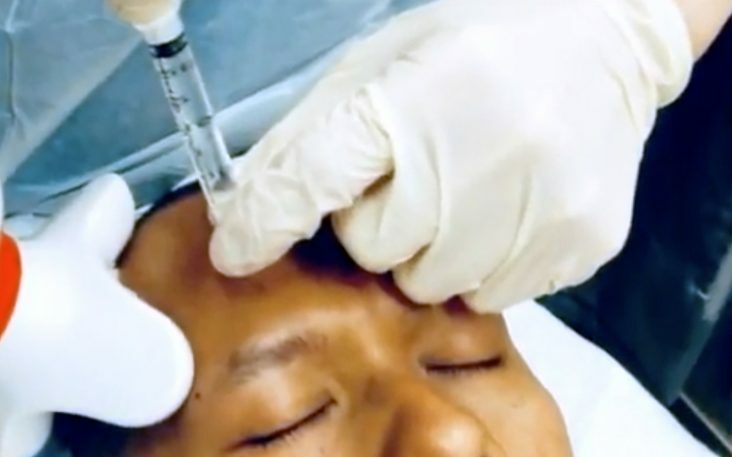 A small number of hair follicles, called follicular unit grafts in this procedure, are individually removed from the ‘donor areas’, which are genetically stronger areas of the patient’s scalp, and then transplanted to the ‘recipient areas’, which are the areas afflicted by bald spots or hair thinning. This will restore the appearance of the patient’s hair. The doctor uses a special tool with a tiny diameter of 1 mm (or less) to remove individual follicular units from the patient’s scalp. A tiny circular incision is made by the tool around the follicular unit to isolate it. Then, the follicular unit, also known as a graft, is removed from the scalp using a tool which resembles tweezers. The graft is then prepared for placement by the doctor. 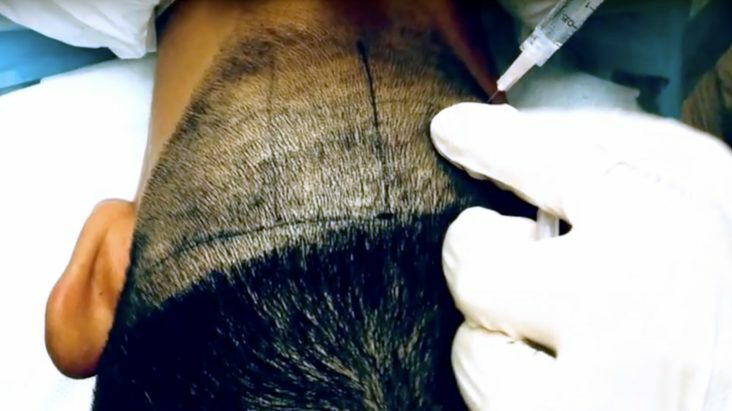 Even though the procedure might take some time, most patients can complete the follicular unit extraction in a single session. Nonetheless, this will depend on each patient’s hair condition, and also suitability to undergo the procedure. High-powered stereo microscopes are used to isolate, prepare and make sure that the grafts remain in their best condition. Depending on the number of hairs contained within each follicle, the follicular units will be arranged according to groups for transplantation. Normally, each follicle will contain 1 to 4 hairs. 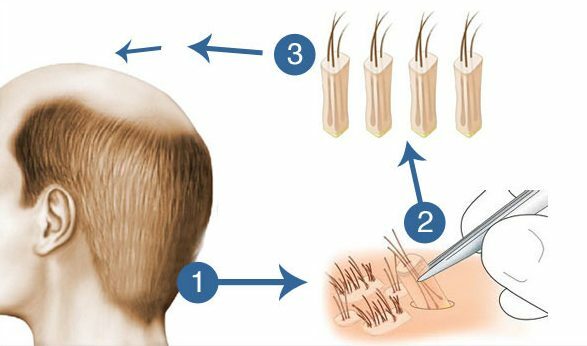 When the grafts are ready for transplantation, small incisions are made to match the patient’s natural hair growth pattern in the recipient area. Then, the grafts are strategically placed, one by one. The placement is intended to produce a natural look, with adequate density and coverage of the thinning areas or bald spots. The patient must have a consultation session to discuss the available options and desired outcomes with the doctor, before deciding on the procedure. 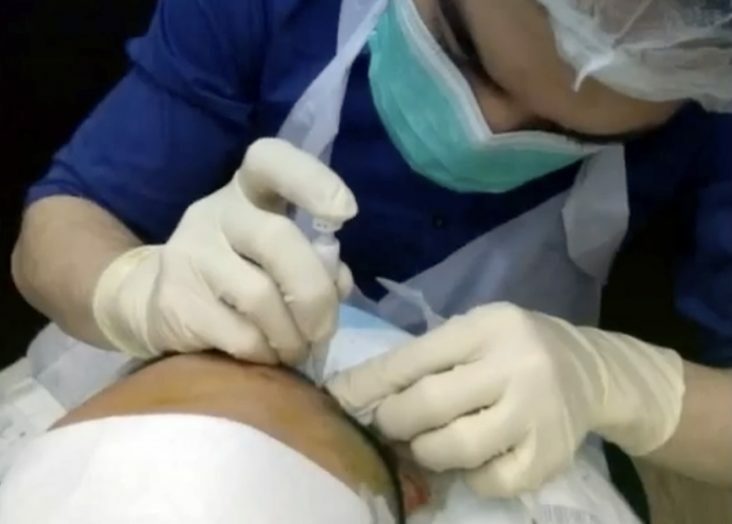 The hair in the donor area will grow back in a few days, and the tiny incisions made in the donor area to remove the grafts will also heal completely in a few days. The FUE natural graft placement process will recreate the patient’s hairline and growth pattern for a permanent, natural-looking result. As there are no linear scars and no stitches, the donor area will heal and recover in a short time. Because this procedure is minimally invasive, most patients can return to their normal lives and routines without any problems. Some people can even go back to work the next day. Three months after the procedure, new hair growth should be noticed. After six months, patients should be able to see significant regrowth. From then on, the original and transplanted hair will continue to grow naturally. The results are permanent, and although some of the transplanted hair follicles will not last, over 90% will be retained. The transplanted area will look natural, because it uses the patient’s own hair. Ideally, this will be adequate to completely cover receding hairlines or bald spots, restoring your self-confidence and image to the way it was before! Call us for a consultation today, to find out how FUE hair transplant can help improve the appearance of your hair! Interested to know more about our latest aesthetic packages, click the button below!